In this painting I wanted to capture the pure looking white of the feathery fronds on the seeds and their delicate quality. It took a while to find the perfect location to take the reference photo that I used, with deep greens in the background to contrast with the white. 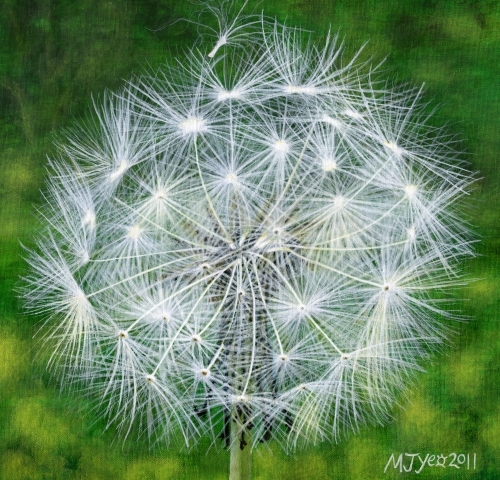 The dandelion is thought of as just a weed, but I wanted to paint one, much larger than life size, to highlight the beauty in the shapes and 'sub-shapes' that make up its whole.